Smash's Andy Mientus: Engaged to Michael Arden! 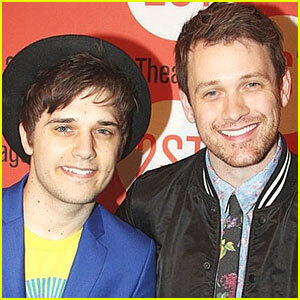 Broadway actors Andy Mientus and Michael Arden have gotten engaged! “‘Come, woo me, woo me, for now I am in a holiday humour and like enough to consent.’ #engaged #andyandmichael,” Andy captioned a photo on Instagram. Recognize the quote? It’s from Shakespeare‘s As You Like It! 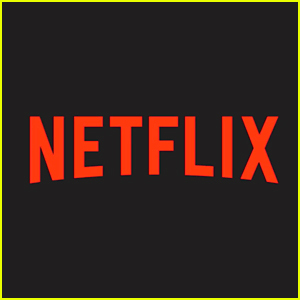 While both of the actors have predominantly worked in the theater, you may recognize Andy from his work on the second season of NBC’s Smash and Michael from the FX series Anger Management and the movies Bride Wars and The Odd Life of Timothy Green. Andy is currently starring on Broadway in the musical Les Miserables. 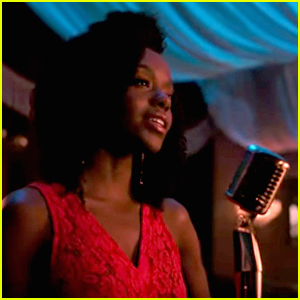 Watch him and the cast perform “One Day More” at the Tony Awards right now! 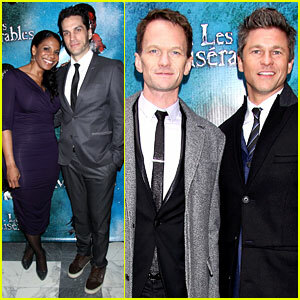 Neil Patrick Harris Helps Celebrate 'Les Miserables' Opening! Neil Patrick Harris and his partner David Burtka hit the carpet at the opening night performance of the new Broadway production of Les Miserables on Sunday evening (March 23) at the Imperial Theatre in New York City. Also in attendance was Audra McDonald and her daughter Zoe, who were there to support her hubby Will Swenson who plays Javert in the revival. The show’s other stars Ramin Karimloo, Nikki M. James, Caissie Levy, Samantha Hill, and Andy Mientus were all seen attending the after party following the performance. Head on over to LesMis.com/Broadway right now for all ticket info! Since NPH was at the show, we have to bring back this throwback video of him and his How I Met Your Mother co-star Jason Segal singing “The Confrontation” a few years ago.